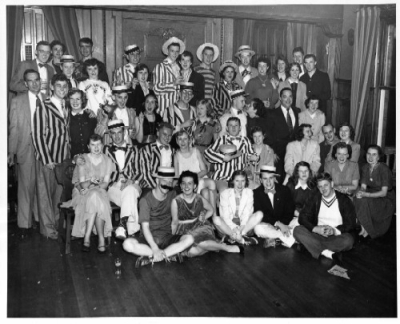 We're so thankful to have captured so many great memories from our chapter's history on film – like this picture from a party in the 1950s. We need your help to preserve those moments in time for our archives, and continue to build them with new memorabilia as we begin a new chapter in our history. Share your best photos and stories in our online albums, which are now equipped with the ability to upload your own pictures to the albums and to comment on others' submissions (please log in first). Thank you for your help in preserving the best moments from Gamma-Psi's history!